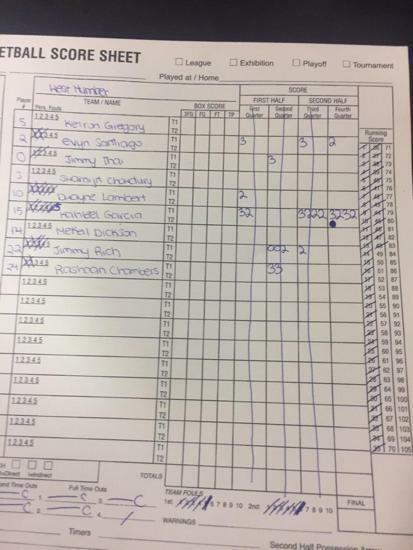 St. Benedict Saints of Cambridge, ON continued their stellar season with a signature win before the Christmas holidays. 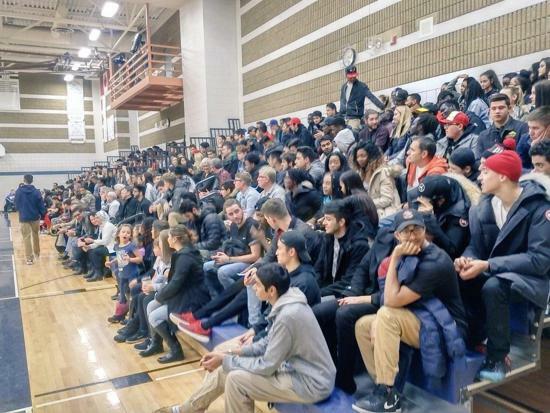 The Saints defeated West Humber 51-48 in front of a packed gymnasium in the 519. In today's era of space and pace basketball, some back to the basket big men are struggling to put their finger prints on games night in, night out. 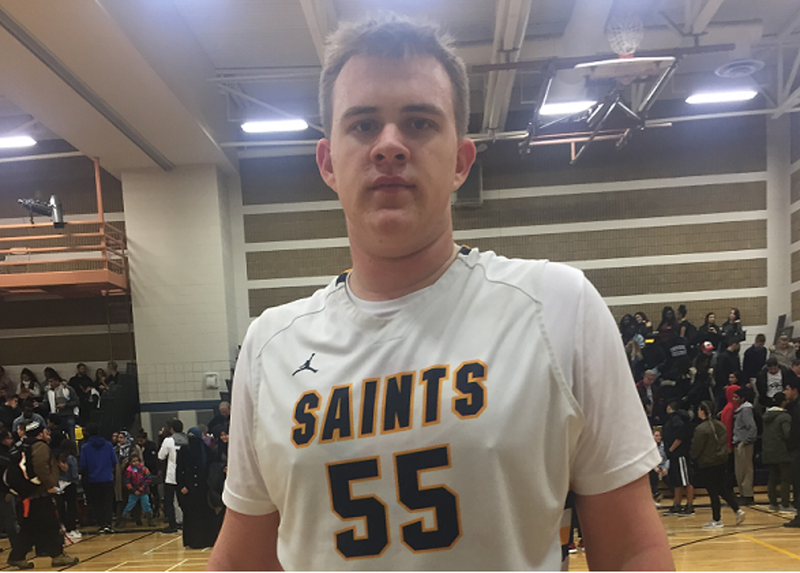 Against West Humber 2017 center Evan Rodenburg was a force in the Benny’s front court. Scored only 8 points but was formidable in mitigating Vikings starting center 6’5” Jimmy Rich. Rich albeit undersized has been terrorizing the Toronto high school scene this season with inside the paint scoring and his nose for the glass. 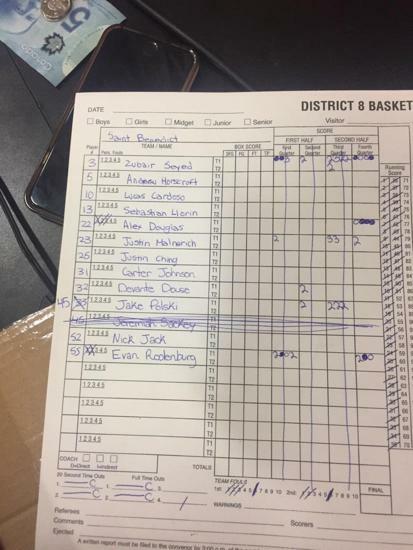 Rodenburg held Rich to four points and was a rim protector and shot alter all evening. Physical, physical, physical. Few can get position on Evan Rodenburg. This guy is big and strong and can only get stronger. “He’s a strong guy, key was he’s quick so we didn’t let him get a first step and move around much. For me just staying back like taking the charge and letting him go up and make his own mistakes.” Rodenberg told Canadian Ballers post game about the keys to guarding Rich. “Brock, Queens and Waterloo are the top three and alot of other schools are in there. 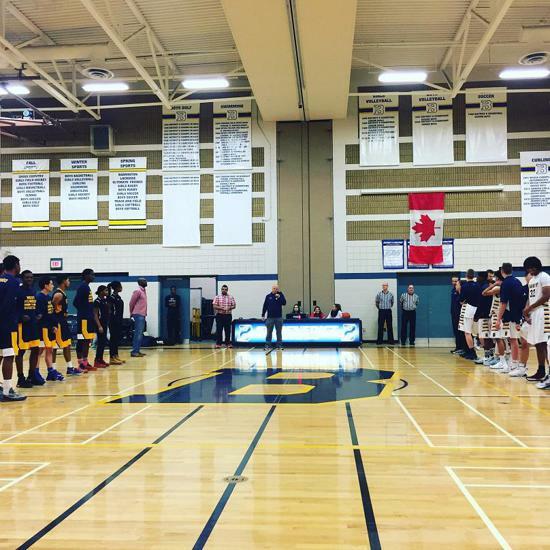 Laurier and Ryerson are in there and a lot of other Canadian schools,” added Rodenburg. Asked what intrigues him about the Badgers? Rodenburg a former volleyball player is emerging into the national spotlight under the helm of Saints head coach John Malnerich. Born in 1998 Rodnenburg chimed in on the influence Malnerich has had on his development. “I did his summer camps since I was little, Grade 9 I was a raw big man. He’s developed me into a solid basketball player, he’s given me the opportunity to play at the university level and I am forever grateful to him. He turned me into the man I am today,” said Rodenburg. You can't coach height and there aren't enough bodies in the CIS to go around. An ideal team for Rodenburg is one with a "teaching coach", such as Saints bench boss John Malnerich. Any program needing a backup center and can afford a project at the 5-spot, do your due diligence. OTTAWA STRONG: 99' born Noah Kirkwood has next in nations capital. How the 6-7 2018 prospect blew up after BALLN with Brookwood Elite on the adidas Gauntlet.